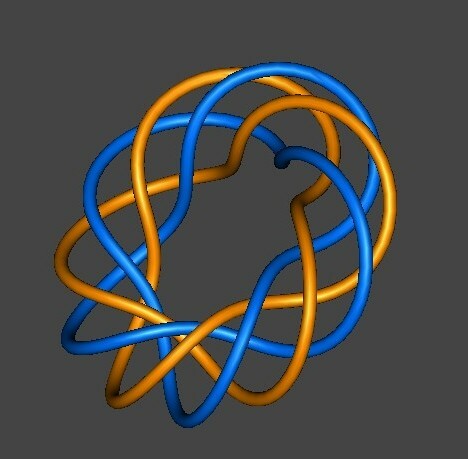 "Knot theory is a branch of algebraic topology where one studies what is known as the placement problem, or the embedding of one topological space into another." The site includes a collection of knots. Click to see more moiré knots.